This 97' Ferretti sleeps 8 guests in five cabins, including a full beam master with double, plus two guest cabins each with double and one Twin cabin, all with private bathroom. There's a fifth guest cabin as well, but the yacht prefers to take eight guests. 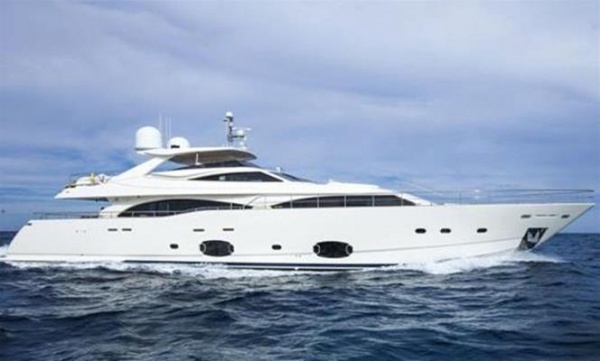 This 97′ Ferretti from 2011 is available for 8 Hours, 24 Hrs, or 48 Hour charters out of Miami. 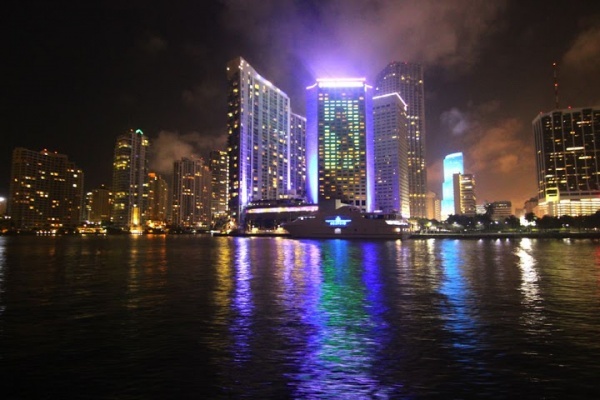 The best view of Miami is from the water. Get in on the action from the water right in front of Bayfront Park, or get away from the crowds and enjoy the beautiful weather aboard your own private luxury yacht. 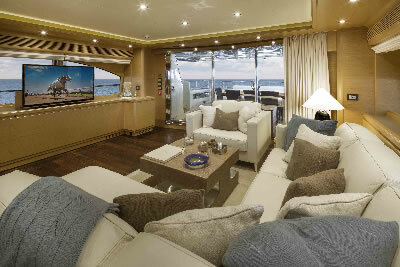 A chic and unique yacht with walnut finishes and light toned leathers that compose an elegant interior. Abundance of lounge space with a Nikki Beach feel. 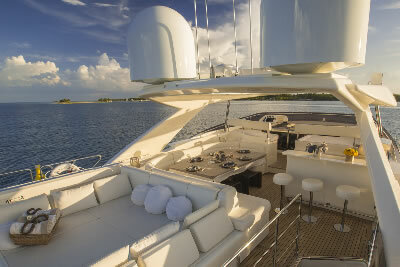 Captain Paul Warner and seasoned crew delight guests with the ultimate charter experience. 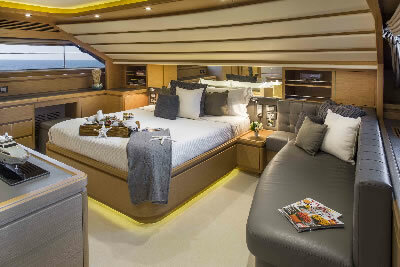 Full Beam master located on the main deck plus 3 cabins below, 1 Twin & 2 Doubles, with windows, each with ensuite bathroom. 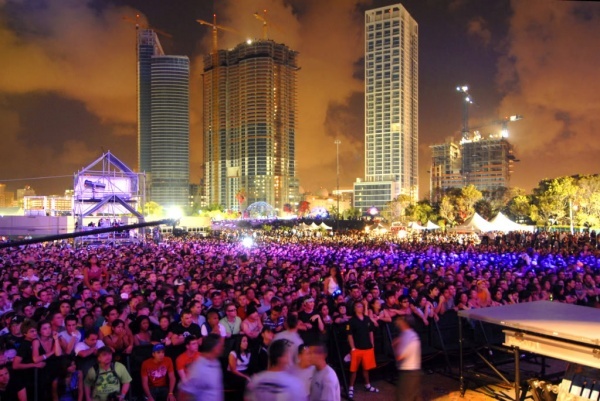 Day rates less than a week will not equal rate divided by 7. 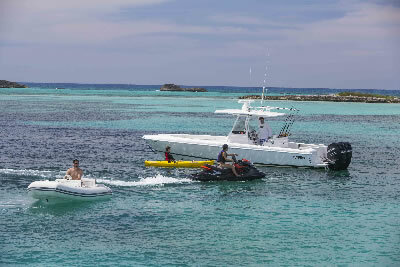 Please inquire for day rates or shorter than a week charters.